Lendor Consulting: Blow Your Horn! Fiscal year-end or calendar year-end not only means closing the financial books for that year, it also means performance appraisals. If your organization pays for performance, your rating may impact your increase. While the key to getting a good performance appraisal rating is actually performing, there is also the art of reminding your manager of your accomplishments throughout the year. This is your opportunity to blow your horn. Here are a few things to help you get prepared for this important discussion. 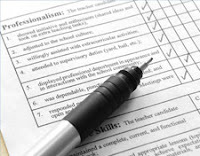 Take the initiative -- write your performance appraisal, and rate your performance. Giving your manager a document to edit is better than waiting for your manager to write it. Include the things you accomplished throughout the whole performance year. These should be things that align with the department's goals, which in turn align with the goals of the organization. Include any projects have you taken over, or taken off your manager's plate. Include what you have done to develop professionally (i.e., new skills, certifications, etc.). Of course, once you submit the draft of your performance appraisal to your manager, he or she will have changes. Some may be in your favor, some may not. When you meet with your manager to discuss those changes, be open and receptive to the feedback. Remember it's a discussion. Just like any other meeting, you need to come to the table prepared. Be prepared to support the ratings you have given yourself with facts, written acknowledgments from other managers, etc. If your manager has changed your rating to one less favorable, ask for examples that warrant the lower rating. Also, ask for examples of behaviors that would receive a more favorable rating. Halo effect -- your manager focuses on what you did well over the past 2-3 months. Horn effect -- your manager focuses on the mistakes you have made over the past 2-3 months. Being an active participant in your performance appraisals is a great way to demonstrate your knowledge of the business and your understanding of the organization's goals. Actively participating also means that your performance appraisal doesn't just 'happen to you'. Excellent post, Grace. I wonder how many folks actually take this approach and/or have kept a record of their accomplishments throughout the year. I've already forwarded this post to a friend with a review later this week. Perfect timing! Thanks Natasha. Unfortunately, not many people take the proactive approach which is why they feel like their performance appraisal "happens" to them. Being an active participant and taking an active role gives you a semblance of control. Thanks Joel. Feel free to share it with your friends who may be going through this process.